Our little girl caught another cold, second one in a month, this time with some coughs and runny nose. 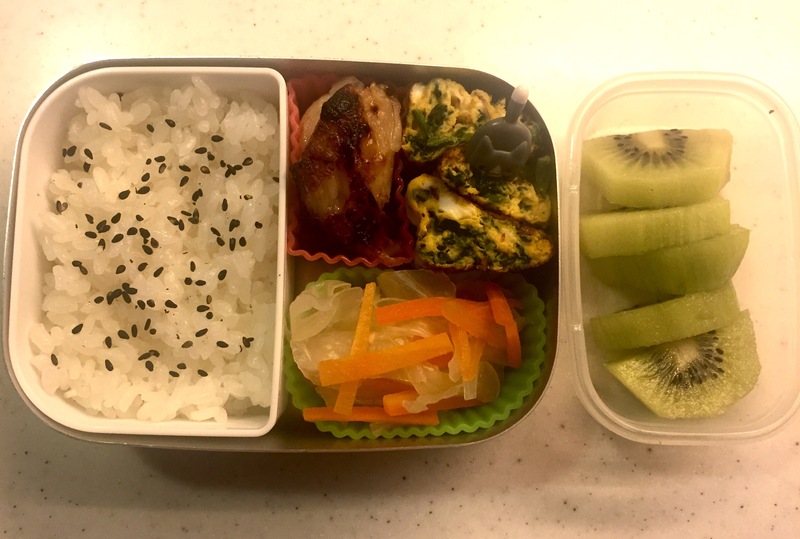 In the evening before she seemed a little weak but fine, so I set the timer for the rice cooker and put my alarm for the daily bento making the following morning. 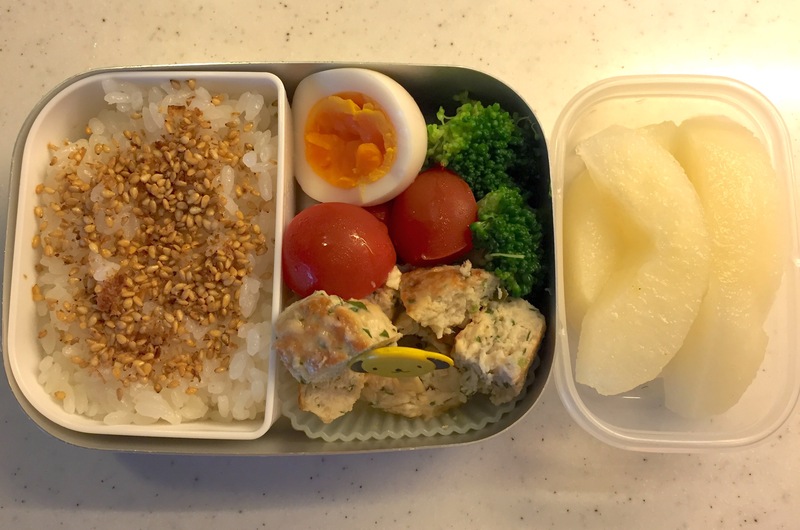 In the morning I usually wake up before her and start preparing the bento, so that’s what I did. Once everything was ready, I went in to her room and tried to wake up my little sleepy head. She usually mumbles something grumpily but resigns and wakes up eventually, but this morning she still seemed to be in her deep sleep. I quickly realised she was quite ill, and we decided to keep her home for the day. The bento wasn’t really necessary today, but she ate most of it at our coffee table, despite her nasty coughs, continuous runny nose and a bit of fever. She used her own cutlery set and place mat that she uses at kindergarten everyday. She proudly laid everything very nicely on the table, just like she always does it at school, which made my heart tickle and made me want to hug her tightly. 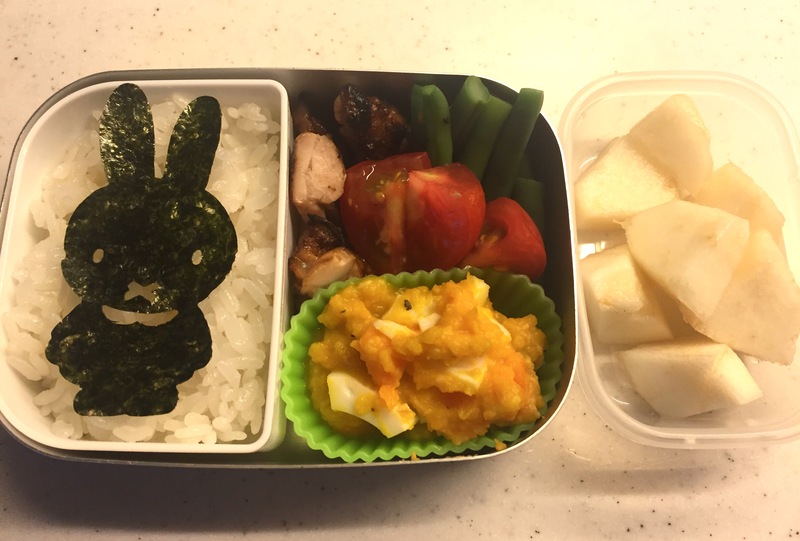 Sometimes bento making gets so tedious I wish there was school lunch provided at her kindergarten, but I wouldn’t have seen her eating my handmade bento the way she did today. For this, every effort is worth it. 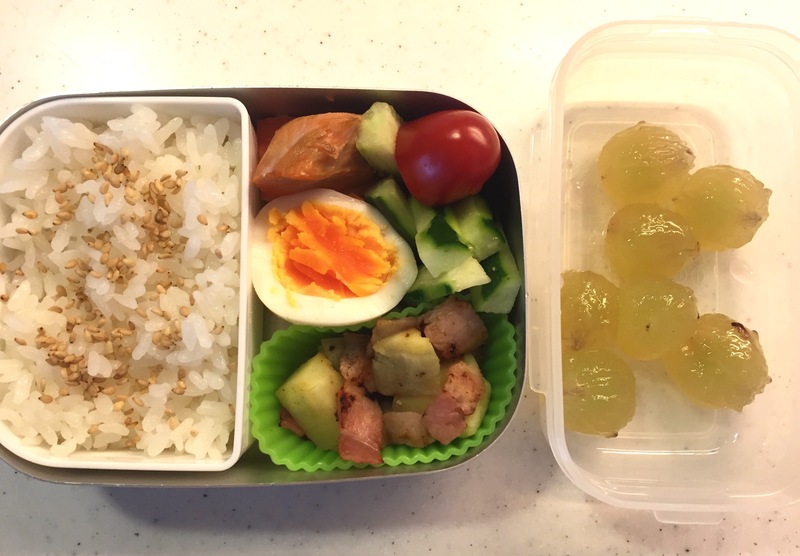 For this, I will keep making bento for our girl. Autumn…. 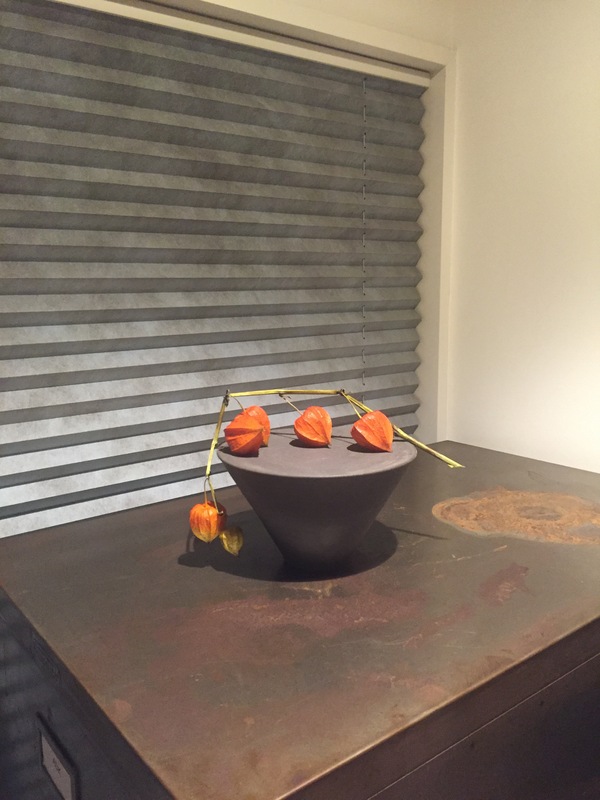 Season for mushrooms…. I love mushrooms for their strong earthy flavour and their fleshy texture. In Japan there are various types of mushroom such as shiitake, enoki, maitaké, shimeji, eringi… All come with different flavour, shape and texture. I put all of these in the Japanese earthware pan and cooked rice with them, with a little bit of seasoning. It came out very well, BUT, our daughter doesn’t like mushrooms… not yet. So for the packed lunch today, I put only teeny tiny bits of mushrooms that’s not even visible in rice, hoping she’d at least get used to the flavour and eventually show her liking. I’ll be crossing my fingers! Last night we had our good friends over for (early) dinner. Our daughter was so thrilled to have her friends over that she had a hard time focusing on eating at the dinner table. Inevitably her leftover has ended up in her bento box today. – Fresh corns cooked with rice, in a Japanese “dó-nabe” earthware pot – I used this recipe from the website called Cookpad (sorry all in Japanese). I doubled the portion. – Cabbage millefeuille – here is the recipe, also from Cookpad. – La salade a la maman is a recipe passed on to me by my best friend’s mum who unfortunately passed away seven years ago. I’ve recreated her tasty salad numerous times since she taught me this wonderful recipe. It is one of the simplest, yet the most delicious salads I’ve ever tasted to this day. She told me she almost felt embarrassed to tell me the recipe because it was nothing special. But she always made delicious but effortless dishes. Everything she cooked for us, including this plain sandwich with ham (Jambon Beurre á Paris), was purely divine. 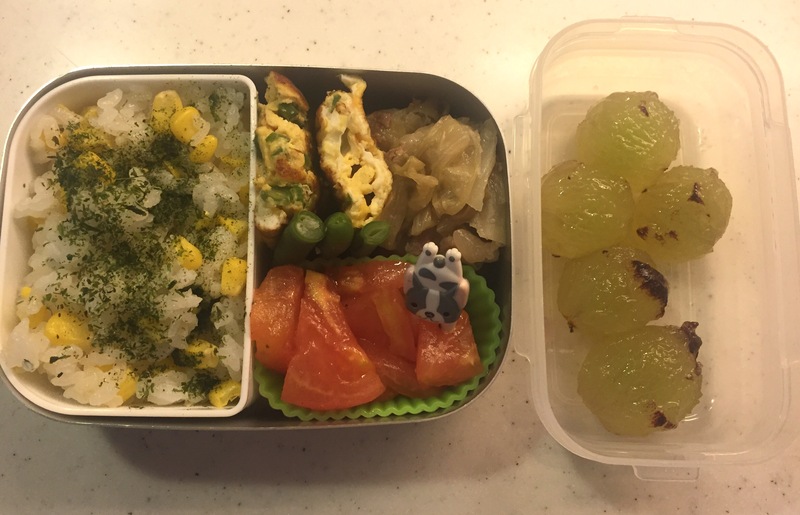 Our daughter finally came out of her lingering cold, and today she proudly claimed she had finished everything in her bento box. We gave each other a high five, but as she put her hand down she demanded, “I wanted you to put a little bit of tomatoes in there!”. 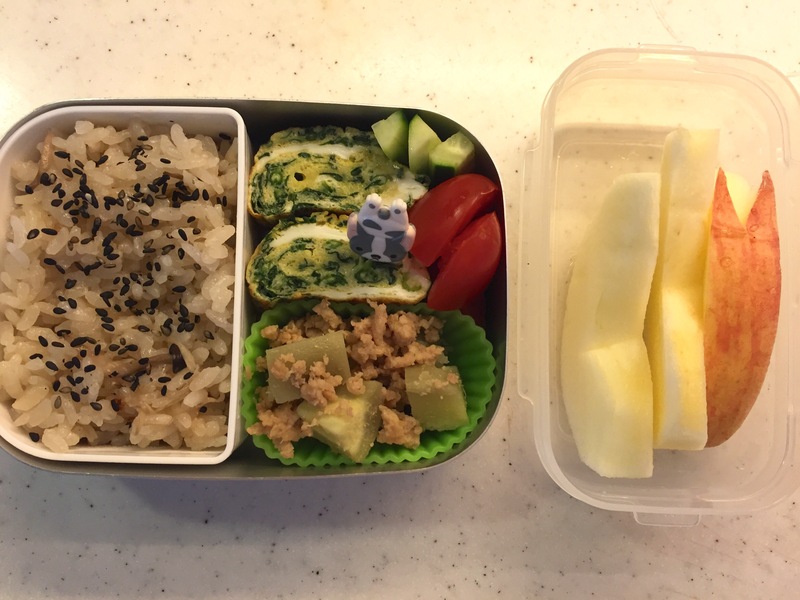 I usually put tomatoes to add a bit of flair to the otherwise a bit too brown lunch box, but today I intentionally kept her bento more understated, in a wabi sabi style, maybe due to the influence of my aunt’s beautiful traditional Japanese house in the mountains we visited this past weekend. 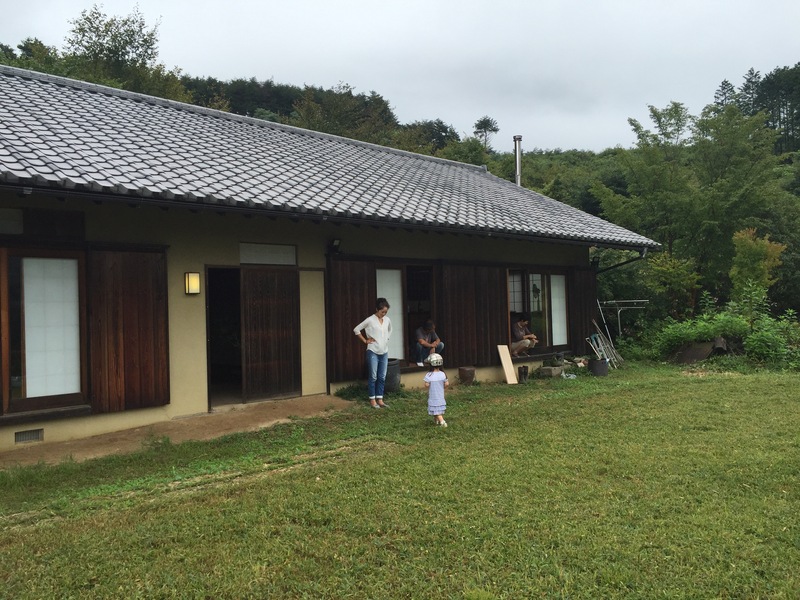 The house was built completely by her husband who is a professional carpenter. The tranquility of its space and surroundings really takes your breath away. But my attempt didn’t seem to get conveyed to our little girl…well not just yet. Our daughter loves miso soup, especially with cabbage. She had a cold for a week and at long last is getting better. At the same time her appetite is coming back as well, and I made her favorite miso soup as part of her dinner. She gobbled all the cabbage & carrots in the soup before eating anything else on her dinner plate. She must’ve craved veggies after a week of eating only yogurt, jelly and apple mousse. 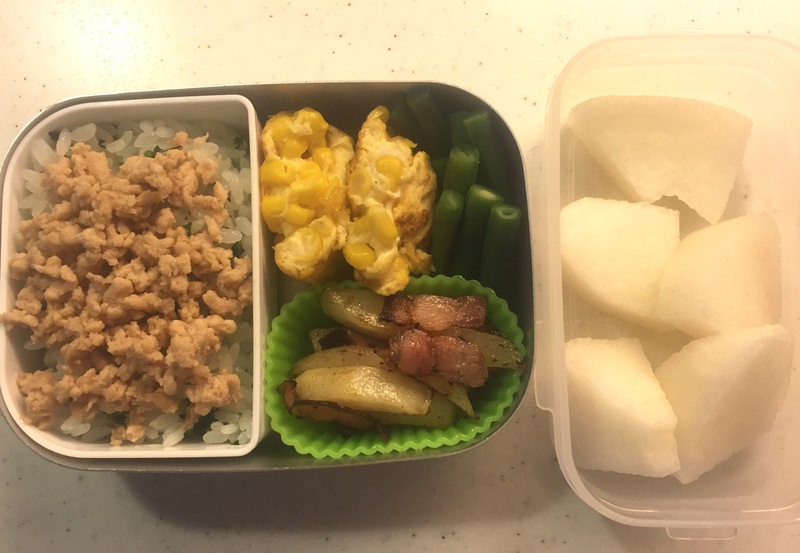 So this morning I thought why not putting in the leftover miso soup veggies although it is not common at all to reuse them for bento. For Japanese, miso soup is miso soup, it’s not ‘okazu’, the side dish. It never occurred to me until now either, but there should be no problem to pack your soup ingredients in your lunch box. There is no such rule, and no one can blame you for that. Plus my daughter loves them, and they are very tasty. It may sound funny to hear my excuse for using the miso soup veggies, but sometimes you feel hesitant to break one’s habits repeated for years and years. Well, I also admit that I was being lazy in the morning and wanted to stay in bed for 5 extra minutes rather than getting up to make one extra dish for bento from scratch.